Uganda’s National Basketball Senior men’s team, the Silverbacks lost to Saudi Arabia over the weekend in their second game at the on-going Istanbul cup. Despite an impressive start to the game, the Silverbacks lost 90-66 to the Saudis in a Molten Instabul Cup game played at the Adalet Turan Sports and Convention Centre. The result leaves the Silverbacks with a 1-1 record after they opened up with a 90-72 victory over Iraq on Friday. Uganda had a dream start as Jordin Mayez who was playing his second ever game for the team scored the first points and in process seeing the Silver Backs lead 5-0 lead before Mohamed Ibrahim brought a basket back for the Arab country, 2-5. A few minutes later, Samuel Kalwanyi and Deng Giu combined for four more points to make it 9-2. Jimmy Enabu converted both of his free throws as Uganda opened up a quick eight point lead. The team continued to shine, propelling to a 17-26 first quarter lead. 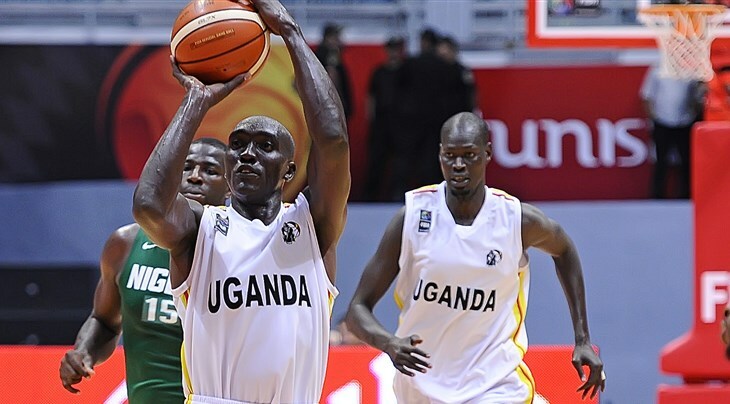 Saudi Arabia came back the stronger side as the team scored 28 points and limited Uganda to just 11 points as the first half ended 45-37 in favour of the Arab nation. Trailing by eight points, Uganda lost the next two quarters 28-17 and 17-12 in that order, to lose its first game in Turkey. Fahad Alshalik Belal scored 19 points for the winners. Jordin Mayez scored 11 points for Uganda; Syrus Kiviiri added 10 as Samuel Kalwanyi collected a double-double of 10 points and 10 rebounds. Joseph Ikong made three of his four attempts from downtown to score nine points. The victory is the second for Saudi Arabia who defeated Jordan 76-80 in their opener on Friday. Cameroon also remain unbeaten at the tourney, added their 70-89 win on Iraq, to the 90-57 win over Bahrain earlier. In the other games, Bahrain lost 80-87 to Jordan while Cameroon defeated Iraq 89-70. The teams took a break on Sunday and will resume action on Monday. Uganda will hope to build momentum going into the FIFA World cup qualifiers later this month.